The Tayka de Sal Hotel is located on the northeast bank of the Salar, in the town of Tahua and on the slopes of the Tunupa hill. The hotel, built entirely of salt, is an attraction in itself. In addition, it has the perfect location to explore the northeast bank of the Salt Flat and its great attractions. This place is a little gem hidden in the area. 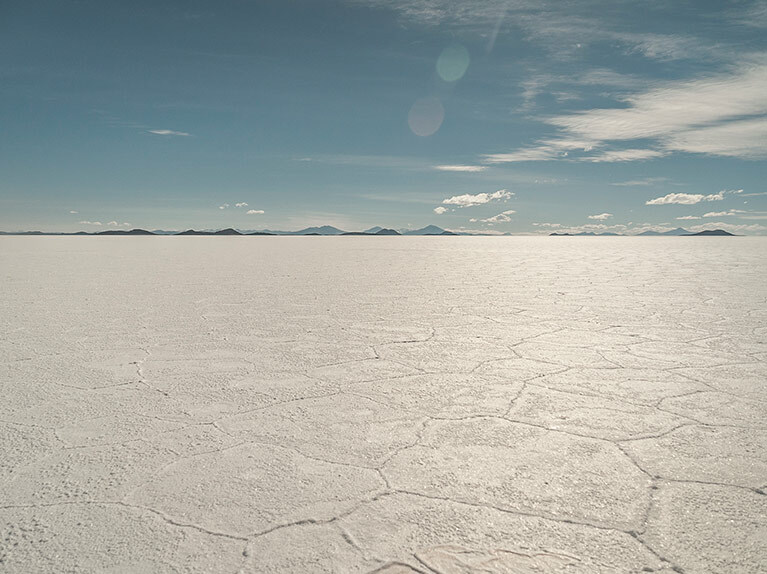 It has unique characteristics: the monumental Tunupa offers unparalleled views, on clear days from its peak you can see both salt flats: Uyuni and Coipasa. The Chiquini Cave allows us to escape from time and enter into a place of strange beauty, similar to being inside a mythical animal. Finally, the Tahua Bay offers a different, private experience away from the large masses that have become so common around the town of Colchani.